I just came back from the best little mini-vacation to wonderful, sunny San Diego, California! San Diego has been on my bucket list for a while now, I love the state of California and have now crossed L.A., Anaheim and San Diego off the list. California is great because there is so much to see and do plus the weather is fantastic year round. Back to this past weekend though! 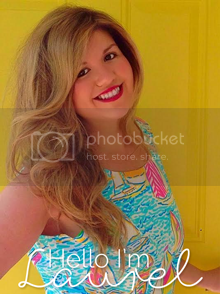 Let's start off my tips so you can plan your own weekend getaway. San Diego quickly became one of my favorites when we soon after arriving it was evident how close together everything was. 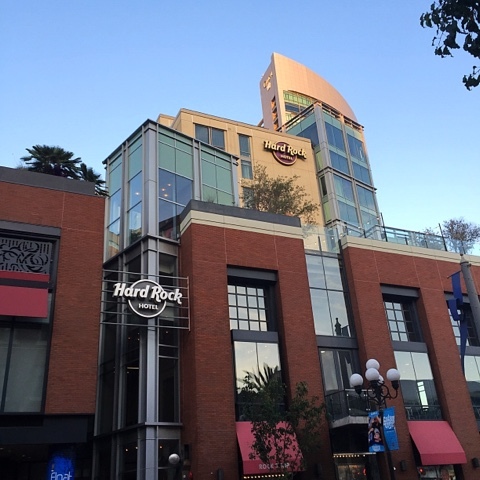 We chose to stay at the Hard Rock Hotel San Diego since we knew the hotel would be nice and it was right next to the Gaslamp Quarter. 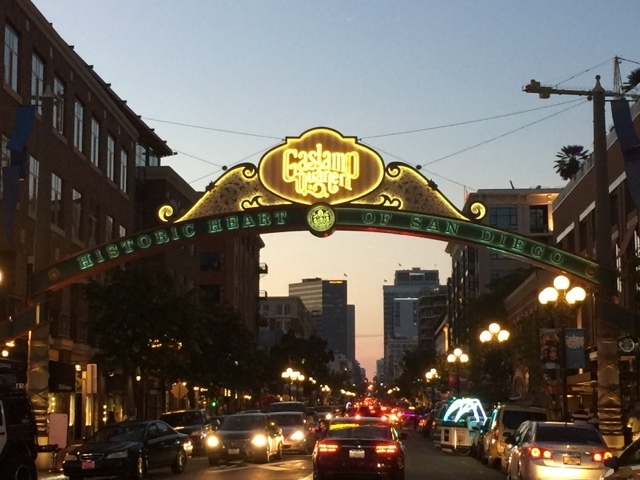 Gaslamp is essentially tons of restaurants, shops, boutiques, bars, etc. 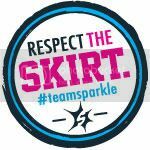 If you plan on going out and having a really good time, say a bachelor/bachelorette party, girls weekend, group couples weekend and so on this is the perfect option. 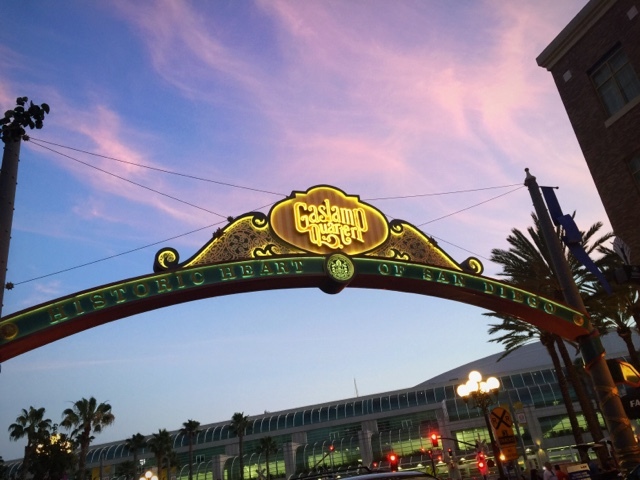 You are right in the middle of all the action and it is within walking distance to everything in the Gaslamp district. Checking in was a breeze and all Hard Rock Hotels have such great décor! This specific one even has the famous sushi restaurant, Nobu, inside. There is also a really cool Roof Top Pool and Lounge that you can beat the heat at. I've stayed at several Hard Rock locations and they are always top notch in service and good prices, they normally have a good discount to offer as well! As I mentioned above, the Gaslamp Quarter is filled with shops, cute boutiques, fantastic restaurants and fun bars. The area can be a bit "touristy" so you will see a mix of everything from families, singles, couples, college kids, pretty much every age you can think of! If you are traveling with little ones, I will say it looks like it could get a little rowdy after hours in certain locations, think a lower scale Bourbon Street (found in New Orleans) so keep that in mind. You can walk everything in the quarter which is a good time saver and better for your wallet! However, there are plenty of cabs and rickshaws if your feet can't handle anymore walking. The Quarter has some really great food options including my picks Lou and Mickey's , Ocean Room, Chocolat (amazing crepes and gelato), The Blind Burro, and Cafe LuLu. 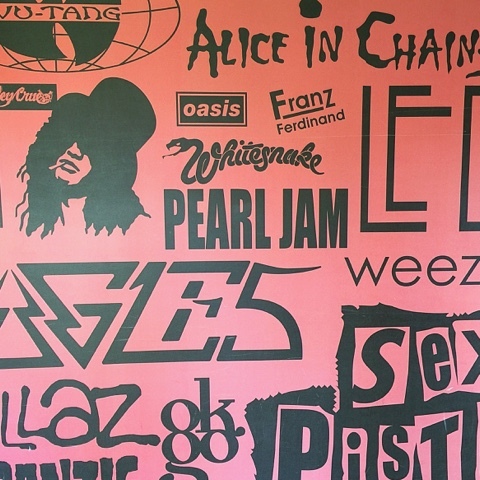 If you want more after 10pm fun (and over 21), look at the huge selection of bars, lots feature live music on the weekend so have a drink, listen to some tunes and relax. 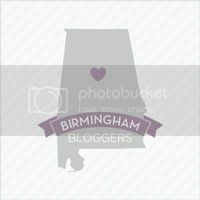 For my fashionistas out there, be sure to check out all the cool boutiques along the district! Lots of fun to be had in this area but as always be safe and careful. You will be around large throngs of people especially after dark, ladies I suggest wearing a crossbody bag so you can have your hands free. In any case where you feel uncomfortable, always go with your gut feeling. Also, avoid looking like a tourist meaning wear normal clothes and don't stare at guide maps or look confused at your phone. Just mind your surroundings like you would in any situation and have a good time! 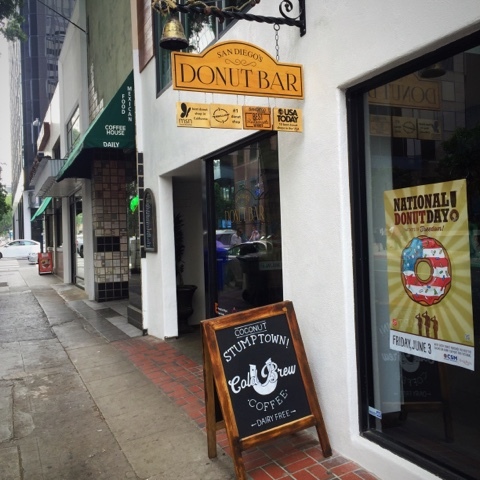 When one of my West Coast friends mentioned we had to try the Donut Bar, which has recently be awarded numerous times for having the best donuts in San Diego and even the country, I knew we had to try it! My biggest piece of advice is to ARRIVE EARLY! Y'all I say this a lot on my travel posts but this is a key one. We had finished a 5k race and decided to walk over since it was so close, at 8:15am, 15 minutes after opening, it was an hour wait. Yes, my jaw dropped like yours just did. The line extends to crazy lengths especially on weekends. Everyone looked at me like do we really have to wait in line for donuts? I made the point that what else would we really be doing for the next hour and we were only like 10 mins away from the hotel. So we took on the wait. Quickly we made friends in line with others awaiting the treats (and even became Facebook friends with several of our new buddies), it was like we were all in this thing together (yes, let's break out into a Disney song) and the closer we got, the longer the back of the line seemed to expand. Something cool that is done on Saturdays is the owner of the bakery will come out to greet everyone and even hand out free donuts to the kids! 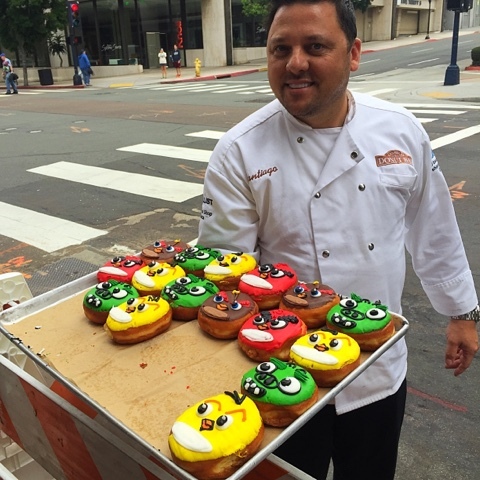 Check him out and the adorable angry birds donuts! After making friends, laughing, and an impromptu Starbucks run (thanks to our new friends) it was finally our turn. 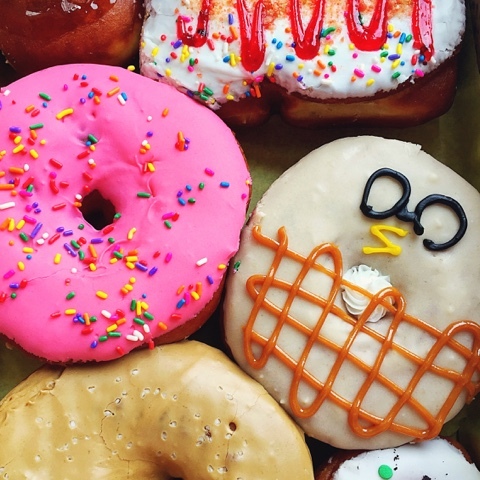 There was a lot of hype with these donuts so we were ready to be impressed. They did not disappoint! Flavors ranging from Harry Potter themed Butter Beer to Strawberry Pop-Tart to a Homer Simpson inspired pink donut, so many choices. Scan the row, decided which ones you want then keep moving, those in back of you will thank you! The menu changes daily so there is always something new as well as old favorites. 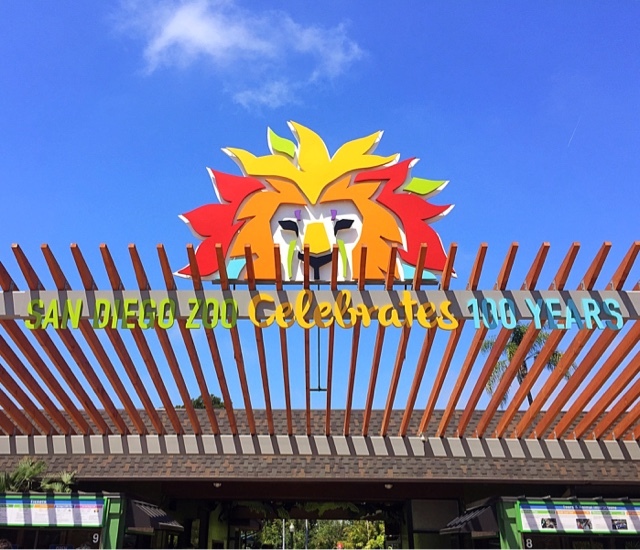 We knew we had to visit the world famous San Diego Zoo, which is currently celebrating its 100th year! 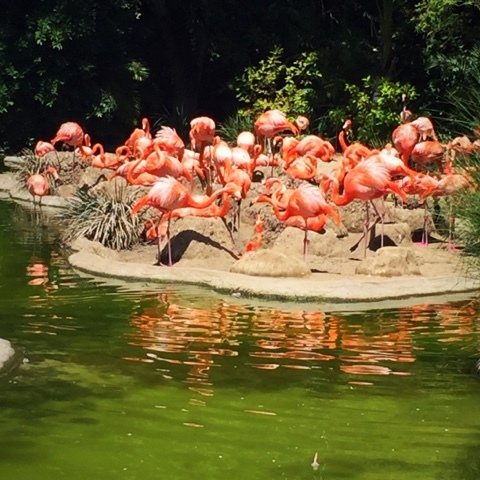 This zoo is huge, it straight up looks like a Jurassic Park type theme park, so wear your walking shoes! There are tons of animals, walking tours, bus tours, IMAX movies, Pandas, yes Pandas! 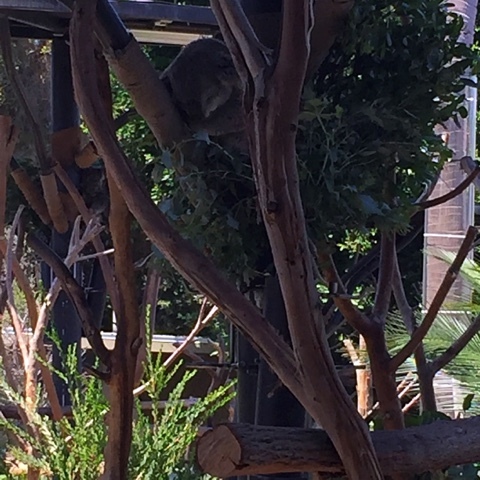 Plus, my personal favorite the cute and sleepy Koalas. You can find out info on ticket options and how to plan your day here! 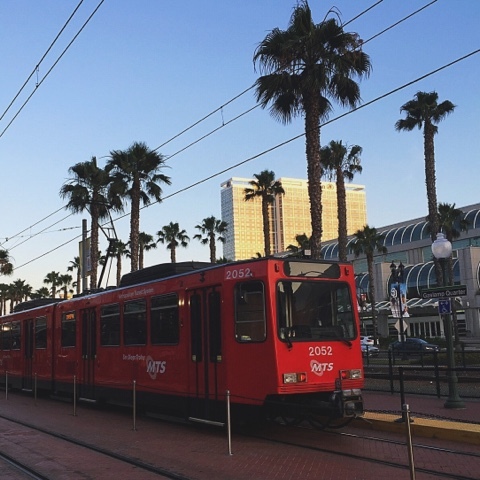 Transportation is easy to navigate in San Diego and it doesn't hurt that everything is so close together! For a fun treat, take a trolley tour via the Old Town Trolley, if you are short on time, this is the best option. The tour is guided and you will get to see all the famous landmarks and then some! Find out all about the tours and how to get your tickets online right here! If you want to explore more independently, use one of the cities numerous trams, just be sure you remember where to exit and what line you are using! 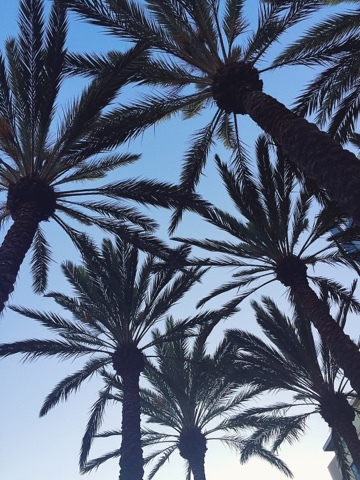 There is so much to see and do in San Diego, you might not be able to see it all but you can see a lot! Everything from beaches, nightlife, dining, zoos, theme parks, and shopping are all to be found here. We loved that everything was a hop, skip and jump away from each other which made it easy to navigate and there was never a dull moment. Even on the way to the airport, we noticed the Unconditional Surrender Sculpture as we passed by and yes, since we had left early enough we kindly asked our driver to make the turn so we could see it up close! 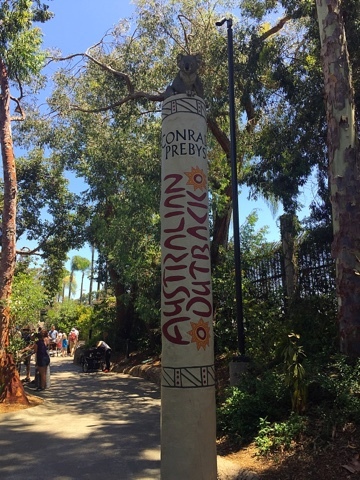 The iconic statue is located by a park near the USS Midway Aircraft Carrier Museum and is around lots of cute fish markets, ships and ocean! 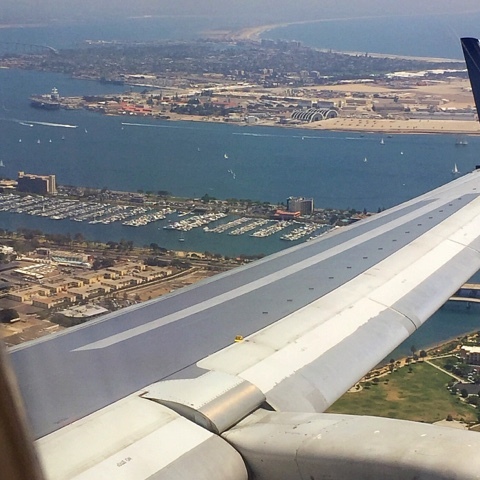 If you are thinking about going to the Golden State to visit San Diego go ahead and make a weekend of it!